What is the last thing you take off before going to bed? Your feet from the floor. 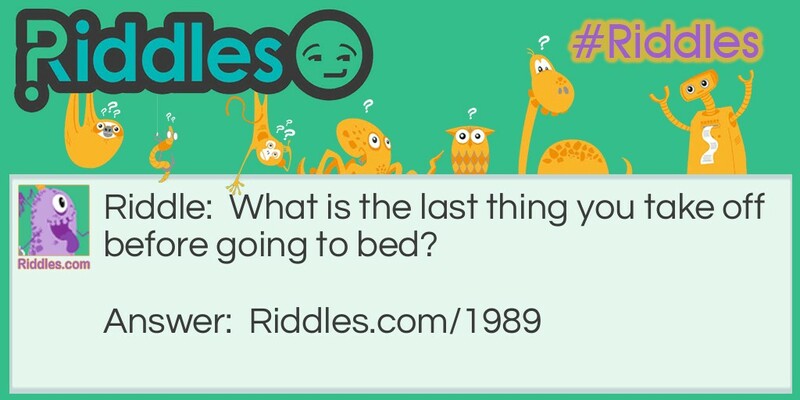 Last Thing You Take Off Riddle Meme with riddle and answer page link.